Senators chat with members of Wyoming’s rural electric cooperatives after a meeting with the Senate Minerals Committee in Cheyenne on Jan. 30. 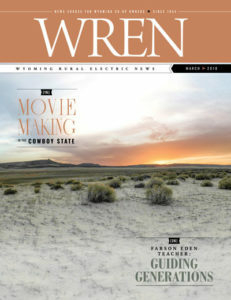 The WREA is committed to delivering safe, affordable electricity to rural communities, and sometimes that commitment includes keeping track of bills in legislation. For more information on WREA positions, visit our Grassroots Network page.